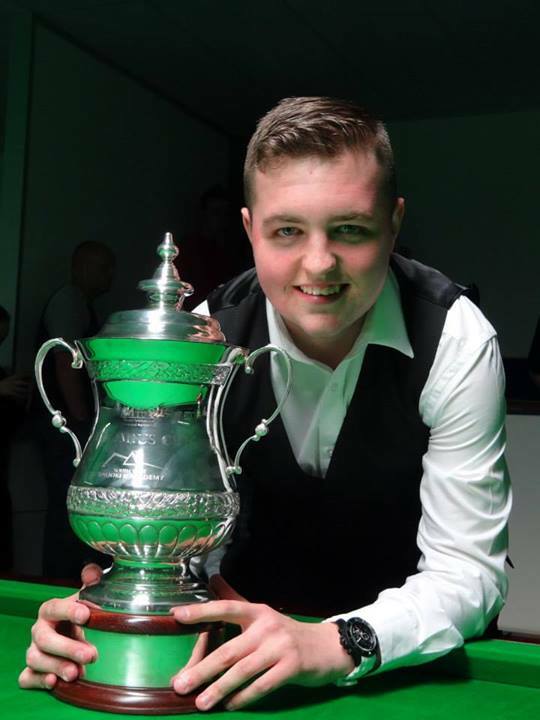 SCOTTISH snooker star Dylan Craig reckons he is on cue to make his big break in the game after landing his most prestigious win to date. Craig claimed the European Under-18 Championship at the weekend, seeing off highly-rated English potter Jordan Winbourne 4-3 in the final to take the title. The youngster has been working alongside world No.5 Stephen Maguire to hone his skills on the green baize. And he is determined to continue his rise through the ranks and star on the big stage. Craig told SportTimes: “I have been on the table for seven or eight hours a day, so it is nice to see it paying off. “I have been playing with Stephen Maguire a lot, he has really taken me under his wing and helped me a lot in the last few months. “It has been great working with him, I have a lot of respect for him. Hopefully, I am not far away from making the main tour. “I was at Q-School last year and was close but I got beat by a couple of the boys that eventually turned pro. “I am knocking on the door. I just need to keep practising and hopefully it will come. “I am still looking for a sponsor at the moment as well, so hopefully I can get things sorted, keep improving my game and make that next step in my career.